Dr Starr is a registered NHS general practitioner in Hertfordshire, a member of the Royal College of General Practitioners and a full member of the Expert Witness Institute. He has been a full-time GP since 2009 and his NHS work covers general practice in a surgery, urgent care centres and out of hours. 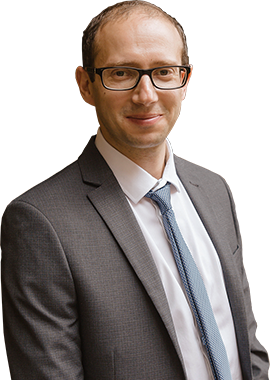 Dr Starr also works as a GP expert witness providing his medical opinion in GP clinical negligence. He writes approximately one medico legal report a week in the field of clinical negligence. He produces timely, concise, cost-effective reports that are written in plain English. Every report has a glossary of any medical terms used. Dr Starr receives regular instructions from the same solicitors and counts many law firms and medico legal agencies amongst his clients. Several have agreed to act as references: please feel free to ask Dr Starr for their details prior to instructing him. Dr Starr is happy to discuss a case, before a formal instruction, to ascertain if he is the best GP expert to write the report and takes referrals from all over the UK. After reading the relevant records Dr Starr is able to give an accurate quotation for fees. Occasionally solicitors will provide Dr Starr with a very brief synopsis of events and ask for an opinion on the likelihood of a successful case: Dr Starr is happy to give an informal opinion, free of charge, via email or telephone in these cases. His current turn-around time is two weeks. After providing you with a written report Dr Starr is happy to answer any queries for no extra charge. He usually follows up the case with the solicitor after six months, to ascertain the outcome. Dr Starr’s formal reports comply with part 35 of the Civil Procedure Rules and the part 35 Practice Direction. He is listed on JS Pubs (vetted), the AvMA and APIL databases, yourexpertwitness.co.uk and is a full member of the Expert Witness Institute. Dr Starr’s medico legal practice is registered with the Information Commissioner’s Office (reference ZA240249) and complies with responsibilities under the Data Protection Act. Currently trading as 15 Medical Ltd (company number 7825166). As an active GP and expert in clinical negligence, he is ideally suited to provide an up to date opinion and advice in GP Clinical Negligence cases.